Regina combo Library Voices reinvented their sound on this year's For John EP, and as they press ahead, they are revisited the song "Space Age" with a live video. 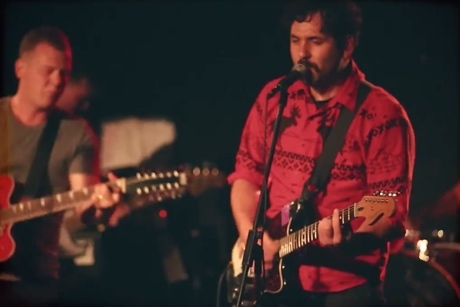 This clip shows the band performing a rowdy version of the punchy garage-surf tune. There's a slight vintage flair to the visuals, while the quick cuts and shaky handheld camera work convey the bustle of a jam-packed show. It was recorded back in June at the band's album release gig. Watch it below. The band will play a year-end show on December 23 at O'Hanlon's in Regina.